The desk is one of the most important furniture in your office. To be more specific, having the right counter, can help you create a comfy and creative atmosphere in your room, which is going to keep you focused on your job. In addition, as all of our furniture, our desks as well are made by the highest quality of materials and assigned by the highest standards. Moreover, we take care of the finishes of our furniture as well, so you can find them painted and lacquered with high gloss, matt, and many more options. At Sena Home Furniture we focus both on the design and on the functionality of our furniture, so you are able not only to find an aesthetically pleasing desk but also furniture which will make your daily job easier! This range allows you to build up your own office set to suit the needs of your room, your limited only by your own imagination! £ 215.10 £ 239.00 vat incl. Having said that, when you are in the process of choosing your new counter you have to take care of some important aspects. How you are going to use it in your workspace? Do you have a wide computer screen or just your laptop and some notes? Do you have an office room in your house or you are going to place it in the bedroom? 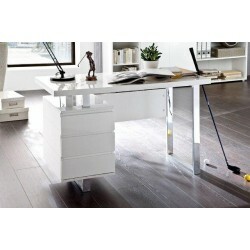 Large sized: There is no better choice than a large counter if you have enough space in your office! Everything will be much easier with such furniture. 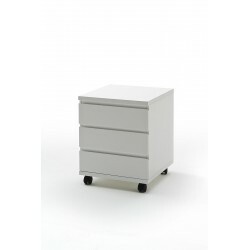 As it usually comes with extra drawers it will give you the ability not only to place your wide computer screen or your notepad on it but also to store important work files! Having a large desk will help you get the work done as it allows you to have all of your necessities well organized in just furniture! If you are interested in such an example you should have a look at Mattis. Medium size: The most popular size for a counter is the medium size. It can fit everywhere without losing its functionality. This simple desk still has a lot of free space for both of your desktop and your notes. If you do not have enough space or you do not have an office room and you want to place it in the bedroom that furniture is the ideal solution for you! An example of such furniture is our modern desk Mark! After choosing the most suitable size then you should consider of the ideal material. 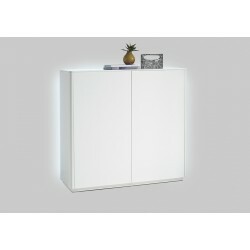 It's important to choose furniture which will fit with the decor of your room. Wood: Their versatile design makes them fit with any style, whether you have a modern room or a classy one wooden table will be the perfect match! In addition, the main reason for their popularity is their durability. At Sena Home Furniture, we manufactured them with the best quality materials and we guarantee that they are going to last long. If you are interested in such a table then you should take a look at Trevor. High-gloss: Do you want to follow the latest interior trends? Then you should take a look at our high-gloss desks. Their shiny material and their minimalistic aesthetic make them a must-have material for your new counter! If we have not convinced you then for sure Sydney II will do so!